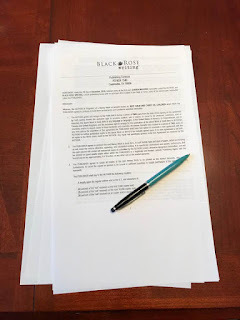 I signed a contract with Black Rose Writing for my Middle Grade novel, KEEP CALM AND CARRY ON, CHILDREN! It's a small independent publisher out of Texas. I did a lot of research before signing with them. I asked them lots of questions and I asked several of their authors questions. They don't charge any fees to publish your book or to design your cover. They do give you the opportunity to partner with them for additional advertising opportunities. I don't quite understand all of this information yet, but I'm sure they will help me understand the process and terms. For me, the biggest factor was that my story will be a book later this year...September 5th! I'll be able to give my almost 99 year old grandfather, the inspiration for the book, a copy this year. In fact, according to my conversations with the publisher, the book will be available in the USA, Canada and England. So I'll be able to send him a copy through Amazon.UK. This makes me really really really happy! Hoping that you are finding moments of happiness so far in 2019! People say you can't go home again... But I went back to Meppershall, England. It'd been forty-four years and thanks to Facebook I reconnected with my childhood friend Sheree. It gave me the courage to go back. This was the last house I truly remember living in. It was a two up two down house with no inside toilet or bath. We did have water in the kitchen. It had seriously steep stairs to the upstairs. My brilliant 97 year old grandad knocked on the door and asked if I could come in. He explained I lived there about 44 years ago. The gracious young man let me go up to my old bedroom. My heart was full of joy! My shelves in the wall were still there. The room and the view matched my memories (other than people having put up fences in the garden). My heart was full rather than pained when I saw the shed attached to the side of the house that we had an outside portable toilet in that we could use at night. During the day we used a privy at the end of the garden. I survived my childhood and some uncomfortable situations and now have some good stories to tell. This was in front of the house. There is a small stream in the overgrowth. Sheree and I used to play there. My grandad and the knowledge of having a visit with my friend allowed me to find joy in the memories. When I went to school we went on an exciting field trip to a bakery and we each were able to make a loaf of braided bread. I wasn't sure if this was a real memory or an invented one. Turns out if was true and the school still goes to the bakery every Harvest Season and the kids still get to make a loaf of bread. It was lovely to find this was a real memory. The school secretary gave us a tour of the school. It felt very much the same. I shared my gymnasium trauma with the secretary. And she healed me... When you forgot your gym kit you had to do PE in your britches and undershirt. It had always hurt me that I had been given such an awful punishment. The secretary said the same thing happened to her when she was in school. So, I wasn't the only one this happened to. It took a great weight off my shoulders. The ride was long, but the benefits it gave to me were huge... I found peace. We came home with a giant loaf of bread from the bakery and we had enough to share with Stanley. Grandad's adopted pet. I dealt with some ghost from the past and overcame them. I am at peace. I wish you peace, too. Everyone's writing journey will be different. It's so important to not compare your journey to someone else's. Your journey may take you down a different path than your friends. 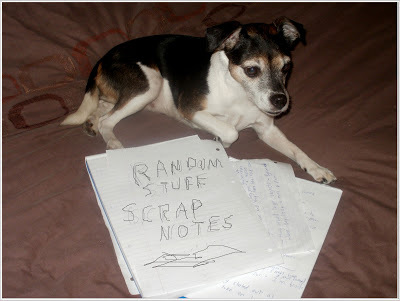 You will encounter different obstacles than your writing partners. But in the end your journey should be enjoyed. In our business you get used to rejection, but I challenge you to not think of rejections in a negative way...Think of them as a step to finding your lighthouse in the foggy world of publishing.